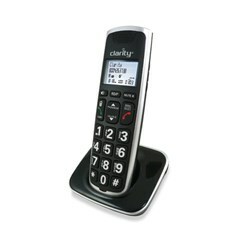 The Clarity BT914 - 5 cordless Caller ID telephone, features Patented Clarity Power™ technology and improves conversation by making words not only louder, but also clearer and easier to understand. With up to 40dB of amplification, the BT914 - 5 cordless phone pairs up with up to two mobile devices so you can enjoy crystal-clear amplified calls without using a landline. Landline jack allowes you to take calls from both mobile and landline if you wish. The BT914 - 5 features DECT 6.0 technology for crisp, clear and interference-free communication. 10 loud-and-clear ringtones can be designated so you can easily distingish a landline call from a mobile call. 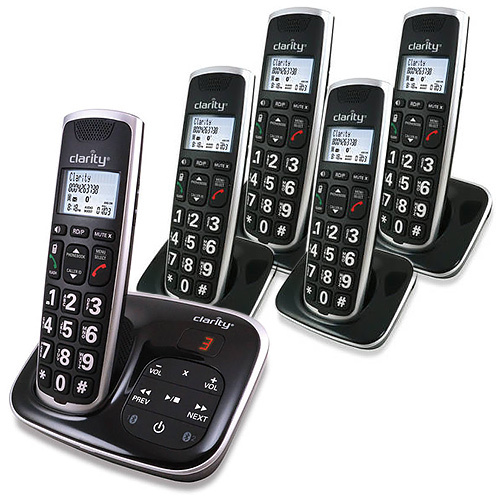 The BT914 - 5 is hearing aid compatible phone and can be expanded up to five additional handsets. The Clarity BT914 plus 4 BT914HS has many exciting features for users of all types. It's one of FactoryOutletStore's best selling . You can extend the lifetime of your Clarity BT914 plus 4 BT914HS with the purchase of a FactoryOutletStore Factory Protection Plan. See the Clarity BT914 plus 4 BT914HS gallery images above for more product views. 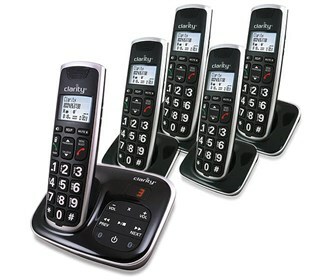 FactoryOutletStore stocks a full line of accessories like AblePhone AP-5000, AblePhone AP-6000, and Amplified Ringer for the Clarity BT914 plus 4 BT914HS. The Clarity BT914 plus 4 BT914HS is sold as a Brand New Unopened Item.